Proper nutrition is essential for overall health because it is the process of bringing vitamins, nutrients, minerals and energy into the body. Healthy diets provide the body with the materials that it needs to build new cellular tissue and carry on important life functions. Eating healthy is imperative for cancer patients, and proper nutrition improves overall energy levels and helps the body recover. Lung, breast and mesothelioma cancer often require patients to undergo chemotherapy and radiation. These procedures wreak havoc on the body, and many patients feel lifeless and lethargic during treatment. When the body does not have access to the right nutrients for optimal health, malnourishment may hamper the recovery process. According to the National Cancer Institute, maintaining proper nutrition during cancer care helps patients keep their weight up, fight infection and provides nutrients that growing tissue needs. Eating habits for cancer patients and healthy adults are different. 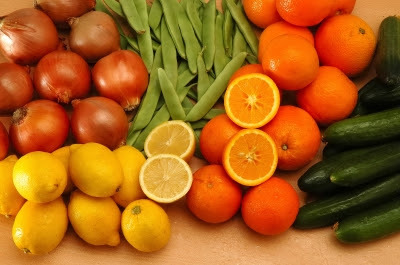 Eating right during cancer treatments provides several benefits. First, most treatments work better when a patient gets the right foods. In addition, proper diets may offer a better chance of recovery and improve the overall quality of life. Many types of cancer result in tumors that actually affect the way that the body absorbs and uses nutrients. Protein, fats and carbohydrates are all affected by some types of tumors. This is especially true for patients who have a tumor in their intestine or stomach. Even though a patient thinks that they are eating well, the tumor may prevent the absorption of the necessary nutrients. Some types of cancer treatments affect the esophagus, intestines, stomach, head or neck, and patients may find it very difficult to get the nutrients that they need. There are also several side effects that are associated with treatment. Anorexia is a common side effect that causes patients to lose their appetite. Mouth sores, trouble swallowing and dry mouth can also make it harder for cancer patients to eat. In addition, nausea, vomiting and diarrhea are commonly associated with treatment and affect nutrient levels in the body. Anorexia is one of the most common symptoms that people with cancer have. The problem may occur early after diagnosis, or it can appear after treatment is over. Many people suffer from anorexia before they are diagnosed, and virtually all patients with advanced cancer suffer from anorexia at one time or another. Cachexia is a condition that is distinguished by a loss of appetite, general weakness and muscle loss. The condition is common for patients who have tumors in their lung, upper gastrointestinal tract or esophagus. Because cachexia is so difficult to correct, it is imperative to treat the problem as soon as possible. Many patients suffer from anorexia and cachexia together, and weight loss may result from eating fewer calories and burning more energy. Following proper nutrition guidelines will help to maintain weight and avoid malnutrition. About the Author: Bringing a wealth of personal and professional experience to the organization, Jillian McKee has worked as the Complementary Medicine Advocate at the Mesothelioma Cancer Alliance since June of 2009. Jillian spends most her time on outreach efforts and spreading information about the integration of complementary and alternative medicine when used in conjunction with traditional cancer treatment.